After being a runner and into endurance sports, you start to pickup on brands that become synonymous with the community. Much like the world now replaced the term for searching on the internet to Googling (Google), those of us in trisports really love their Garmin wearables. In fact, there is an ongoing joke for those of us who wear emergency ID bands on long runs and rides to include a message along the lines of if I’ve collapsed/fallen/died, ‘pause my Garmin.’ I’m looking at you fellow Pathetics. In short, the reason for this kind of brand loyalty is that the company simply produces some of the best fitness wearables on the market, and if you’re going to be forking over the amount of money for some of their more advanced trackers cost, you really better love that product. 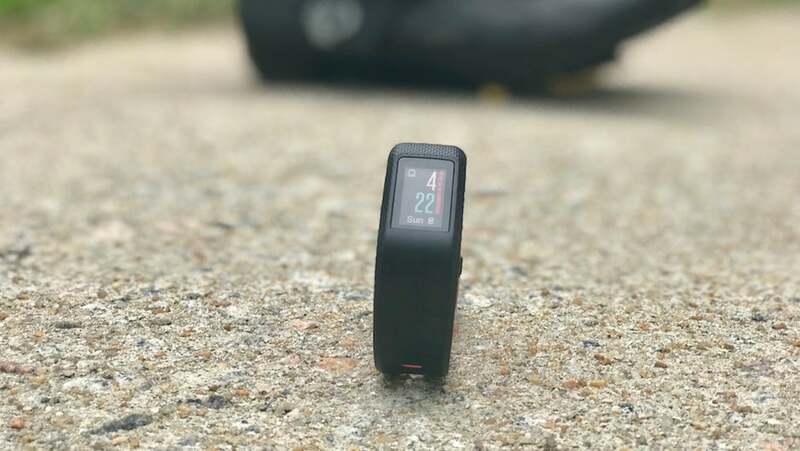 Fortunately the company recently released four new wearables, with one packing a lot of features in a $200 package, the Vívosport. Unlike most GPS wearables, this one has a tidy little package, and has the ability to track most common on-land activities. They also recently released an activity tracker with Disney brands (Marvel, Star Wars, etc.) on it, Vivofit Jr 2, which look pretty awesome too. Sadly those are just for kids. Even though this particular band may not have super cool patterns, it does accomplish one major feat: it’s the slimmest GPS tracker on the market. To put the Vivosport to the test I took it on the recent Ragnar DC relay (200+ miles split between 12 runners), numerous training runs, a couple of swims (it does not track swimming), and some casual use as well. Here’s the quick look at what I gained from tracking with the new GPS band. Apologies for the audio issues on this one. 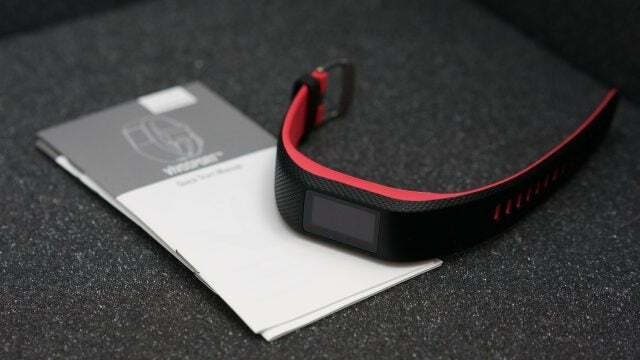 GPS wearables come in several different forms, some require external heart rate monitors, and others are more all-in-one systems like our Vívosport here. If you’ve ever connected a Bluetooth device to your phone, the Vivosport is no different. After download the app it walks you through setting it up and connecting, and along the way it customizes your information based on height, weight, and gender. Because there are no physical buttons on the band, it also walks you through some of the gestures you’ll need to know in order to navigate the various features. For the GPS component, that too is incredibly simple. Once you’re outdoors and you’ve selected the activity, it’ll take anywhere from 2-5 minutes for the first connection. After that, especially if starting in the same general area that you stopped a previous activity, the GPS connection took less than a minute. While out during the Ragnar relay though, which included some areas that had zero cell connectivity, the connection would take anywhere from 1-4 minutes since they were all new starting points. With that said these numbers are pretty standard, with the exception of Apple’s weird Series 2/3 system doesn’t specifically say when you’re fully connected and ready to roll. For the small package that it is, the Vivosport has quite a few features. The hardware itself is designed to be simple, but post-tracking both Garmin’s app and website give you a crazy amount of insight. Between the various training runs and the Ragnar relay, I was regularly wearing both the Garmin Vivosport and Apple Watch Series 2 at the same time. In the past when we reviewed the Apple Watch we found the onboard GPS to be pretty dang accurate, which makes running other devices up against it as a good marker for accuracy without a fancy lab. Keep in mind that there is a bit of fuzzing between the two as there was not a second for second start time, and there is a delay before an activity begins with the Apple Watch. What I look for in this kind of comparisons are the averages, pace tracking, distance tracking, and heart rate information. With that said, here’s two comparisons for a 10k and the results from both devices. If you want to compare the info in Strava, find the Vivosport post here and Apple Watch post here. I left out the two included maps that show basically identical information, but as you can see from these two sets of data both are relatively close. At the very top-level, both tracked the same exact distance ran, close to the same average pace (Apple Watch was 3 seconds faster), similar tracked down (Apple Watch was 9 seconds shorter), the elevation was only off by one, and the estimated calories were only off by one. For the die hard runners, the biggest accuracy points are tied to heart rate and pace, especially in real-time, and for the most part you won’t have a huge discrepancy here beyond what you’d expect. At first the heart rate was a bit off, but both devices tracked spot on together for the second half of the run. 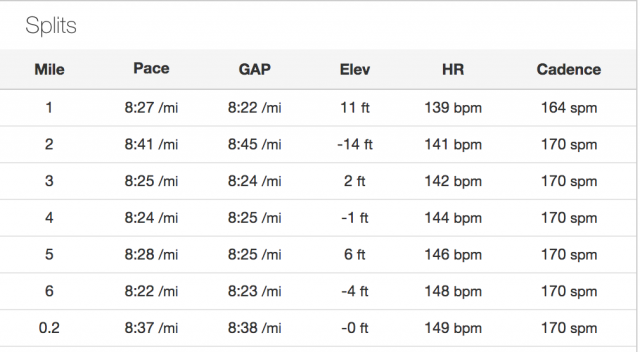 For cycling, I found very similar results to the run, including the estimated wattage. Overall I found the accuracy and tracking ability for the Garmin Vivosport to be parallel, if not slightly better than the Apple Watch Series 2. Not only did I receive similar results, Garmin also includes cadence data and some other information to help improve my running approach. As for comparing the two devices otherwise, it’s apples and oranges. One is a smartwatch and the other is a slim GPS band, which means you’ll have two very different people looking at these devices. It’s certainly not the most stylish wearable, but when you compare the Vivosport to most other GPS enabled trackers and smartwatches, it looks pretty solid. In my mind this has the looks of the Mi band or Fitbit Charge, while packing in a GPS sensor, rather than having your standard satellite dish on your wrist. If large faced watches are your thing though, Garmin also released a more stylish hybrid called the Vivoactive 3. With that said, the Vivosport is still likely to be the most minimal GPS enabled wearable; however, that does come with some downsides. As you’ll be wearing this during your runs, strength training, and cycling sessions, typical wear-and-tear are bound to happen sooner rather than later. That means if your band starts to wear down, you’re either going to have to get it repaired or buy a brand new one since nothing on it is swappable. Unfortunately we can’t speed up time so it would be difficult to say at what point this may occur, but the casing is a combination of strengthened glass for the touch screen, and silicon for the band. If it’s anything like the original all-in-one Fitbits, it should easily survive a year of hard training. During the test period neither the screen nor band had any noticeable damage, either. With that said this is really just a caveat and not a negative. The design component that I do have some gripes with are the touchscreen. It uses a basic technology that is triggered by any form of pressure, so unlike your smartphone, pressing it against anything will cause an interaction. As I was wearing it during work or typing on my computer I often got a random vibration from the menu getting activated. There is however a screen lock option, but that feels like a goofy fix. As you can see in the video review, it’s also a bit finicky; however, it works just fine when you’re covered in sweat, and even the Apple Watch can’t do that. The other thing to keep in mind that due to the band’s small size, the screen is also quite small. That means you’ll only have about two data points on at a time, and you’ll have to scroll to get the others. Vivosport’s screen is also always on, so unlike most other watches and trackers that require you to lift or tilt it to see the screen, you don’t get any of that wonkiness. I can’t tell you how many times during a run that I go to check my pace on the Apple Watch Series 2, and have to play a game of is it frozen or just slow to display. The only other nitpicky design think you’ll be up against is that the optical heart rate sensor doesn’t seem to realize when you’ve taken the band off. If you’re in a dark setting, those bright green lights are a bit blinding. As far as fit and weight go, the Vivosport goes practically unnoticed while running or cycling. Between the TomTom Adventurer, some of the other GPS watches, and Apple Watch that feel relatively bulky on the wrist (hey, you get used to it), this caters to those of us who want little interference in our activities. 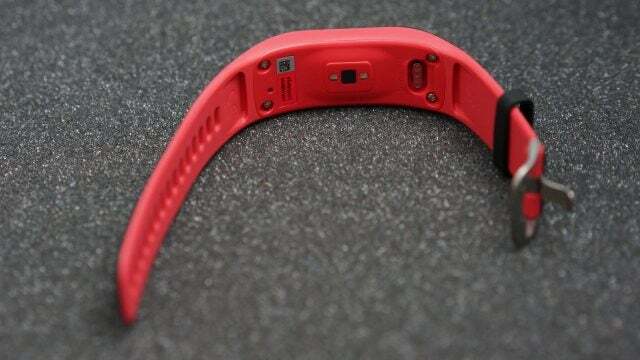 Overall the Garmin Vivosport has the minimal looks of some of the more popular trackers, which in turn makes it the slimmest GPS enabled one on the market. It’s minimal, durable, and the only downside is a bit of funkiness with the touchscreen. 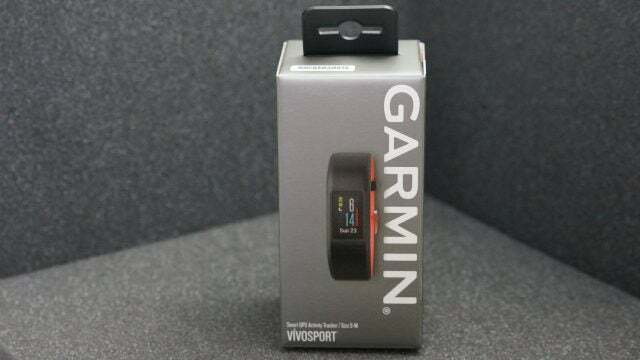 Should you buy the Garmin Vivosport? If you’re interested in tracking beyond the basics, but don’t have a need for off-road or water related sports, absolutely. Not only does this little thing have a low profile, the battery life, accuracy, and simplicity make this an awesome GPS tracker.